Moist to moderate moisture. Deciduous forests, alluvial plains not subject to repeated long-duration spring flooding. Often on moist, northeast-facing slopes. This is a fast-growing, deciduous, hardwood tree. 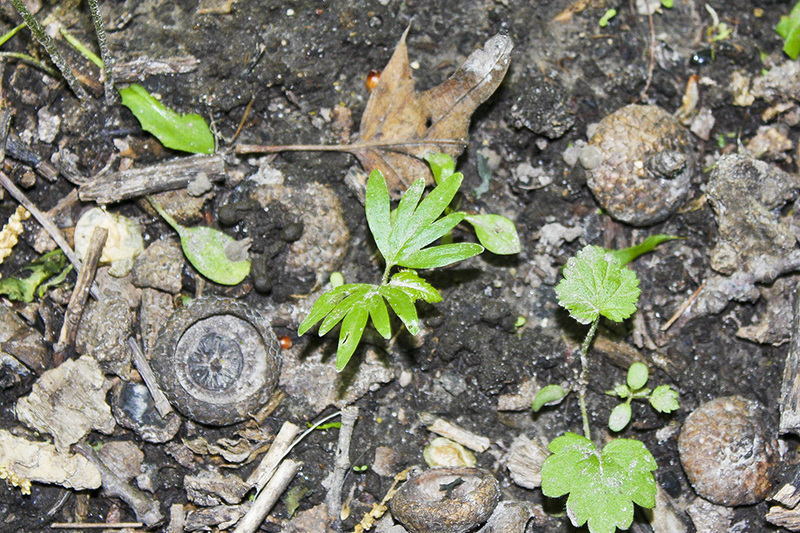 It rises on a single or often two or more stems, usually from suckers. In Minnesota mature trees are usually 50′ to 70′ tall and up to 36″ in diameter at breast height. Large individuals can reach 90′ in height. It is a long-lived tree, often surviving over 200 years. The trunk is straight and is distinct into the upper part of the crown. There are often suckers growing at the base of the trunk. The crown is relatively small, symmetrical, smooth, and rounded. 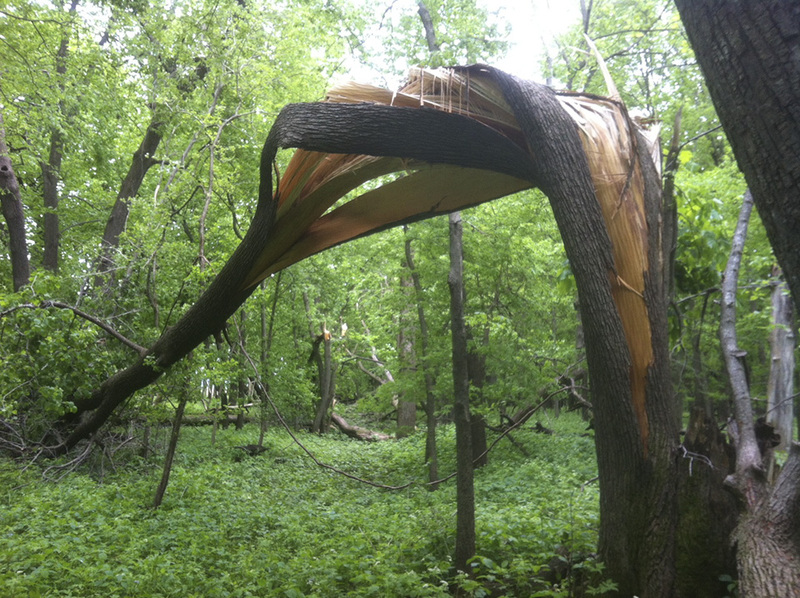 The branches are ascending and arching, with tips ascending. When struck lightly with the handle of a tool the trunk sounds hollow. 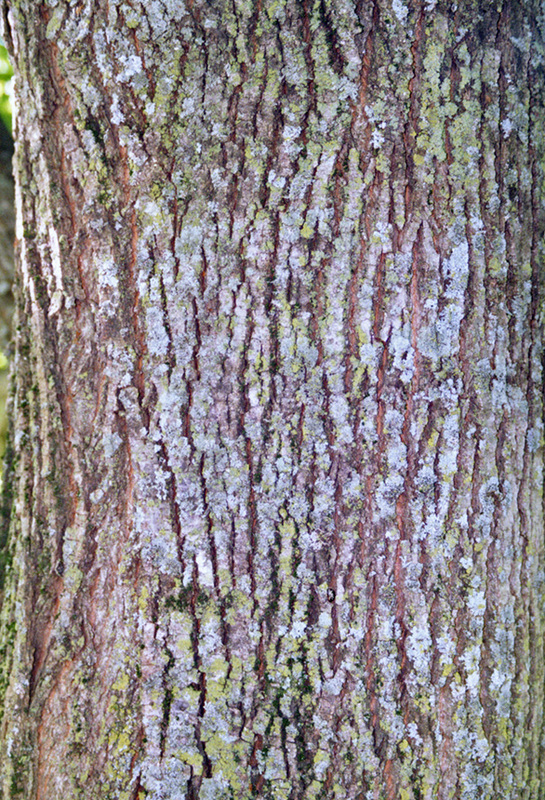 The bark on young trees is thin, smooth, and light gray. As it ages it becomes moderately thick, dark grayish-brown, with deep, V-shaped fissures and long, narrow, flat-topped, scaly, vertical ridges that are transversely divided into short blocks. The twigs are moderately stout, zigzagged, and hairless. They are deep green in the first season, becoming deep red in the winter, and light grayish-brown in the second year. The buds are green or red, 3 ⁄16″ to ¼″ long, oval, shiny, and hairless. They have 2 bud scales. There are no terminal buds. The leaf scars are half-oval with 5 to 10 bundle scars. 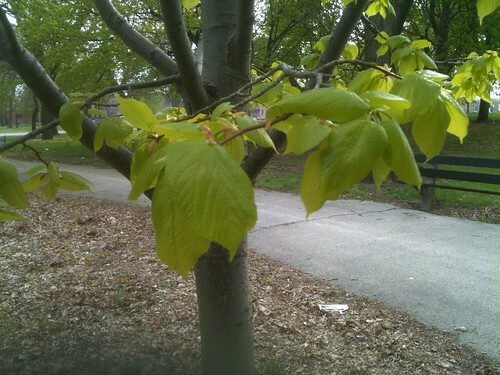 The leaves are deciduous, alternate, and not lobed or divided (simple). They are thin, broadly egg-shaped to nearly circular, 3″ to 6″ long and 2″ to 5″ wide. They are on 1″ to 2¾″ long leaf stalks. The blades taper abruptly at the tip to a sharp point with concave sides along the tip. They are heart-shaped and unequal at the base. The upper surface is dark green and hairless. The lower surface is paler green and hairless except for tufts of brown hairs in the leaf axils. The margins are coarsely toothed, the teeth sharp and forward pointing with elongated tips. In autumn they turn yellow to orange. 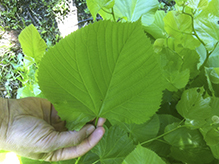 Leaves on suckers are often much larger. Flowers have both male and female parts. 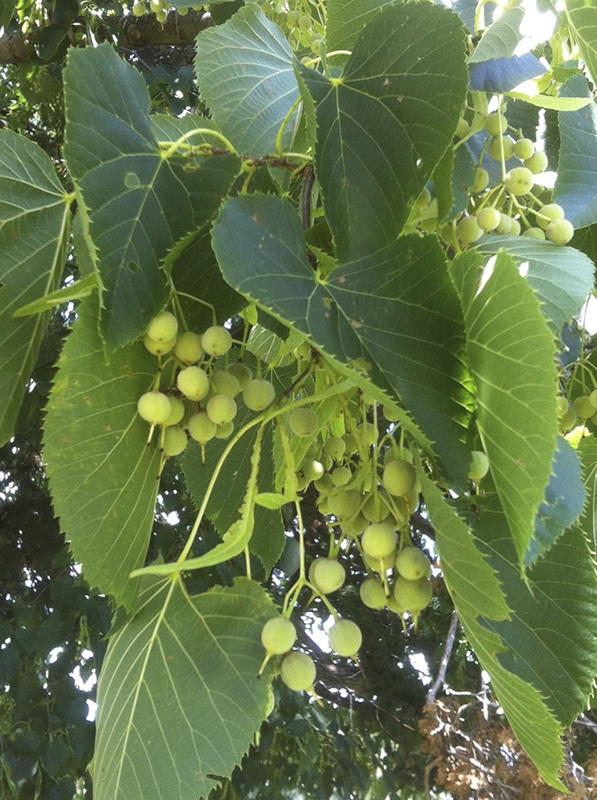 They appear after the leaves in early July to early August and last two weeks. They are borne in loose, many-branched clusters (cymes) of 4 to 40 flowers drooping from leaf axils. The clusters are on a stalk that is fused for about half its length to a to a leaf-like bract. The bract is yellowish, spatula shaped, 2″ to 4″ long, and gracefully curved. The individual flowers have 5 hairy sepals, 5 greenish-yellow to white petals, and about 60 stamens, and are fragrant. The fruit is a light brown or gray, spherical, hard, nut-like drupe, ¼″ to ⅜″ in diameter. It is finely hairy and has a sharp-pointed tip. It matures mid-August to mid-September. 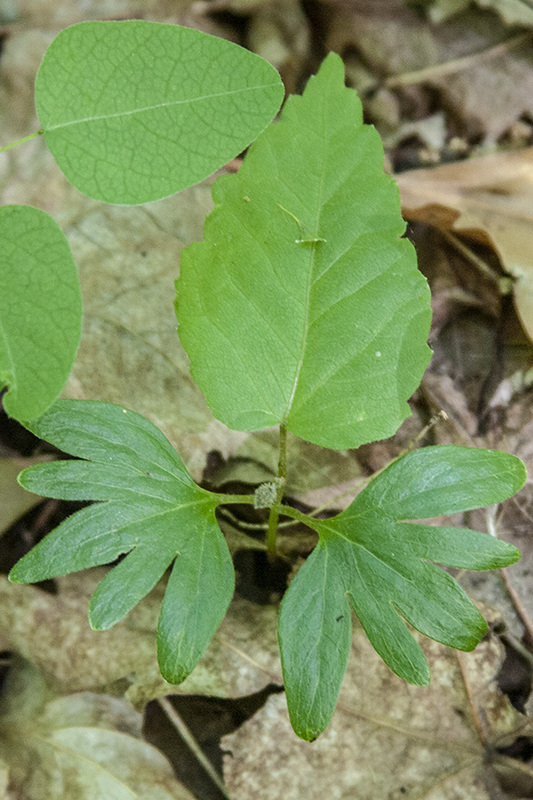 When the basswood seed sprouts the seed leaves, the first pair of leaves to appear above ground (cotyledon leaves), are palmately five-lobed. 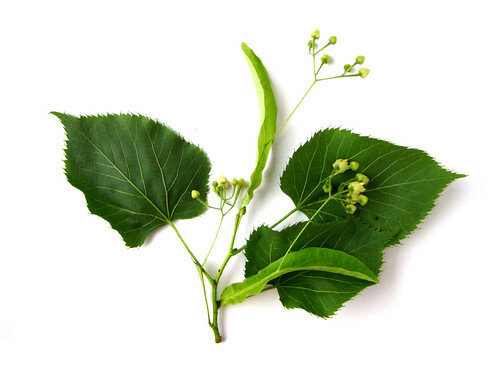 Littleleaf linden (Tilia cordata) leaves are much smaller, 1½″ to 2½″ long. It is a European species often planted on city boulevards. It is not naturalized and is not found in the wild. Linden leaf gall mite (Eriophyes tiliae) creates raised, finger-like galls in the upper leaf surface. Linden wart gall midge (Contarinia verrucicola) creates warty galls, each one raised on both the upper and lower surfaces. 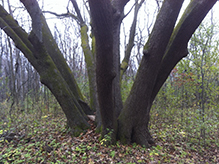 The champion American basswood in Minnesota is on city property in Oronoco, in Olmstead County. In 2012 it was measured at 91′ tall and 192″ in circumference (61″ in diameter). Describing a relatively flat area created over a long period of time by the repeated deposit of sediment from periodic flooding of one or more streams or rivers. 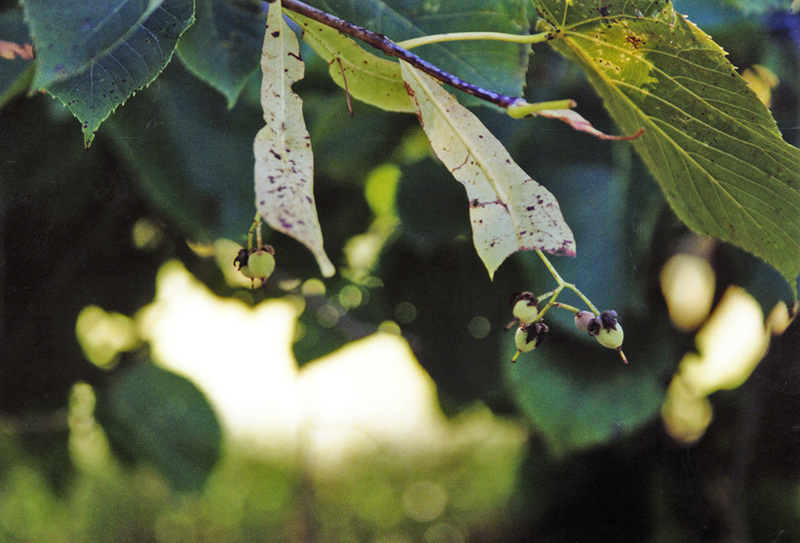 Tilia Americana. Arnold Arboretum, Boston. July 2010. 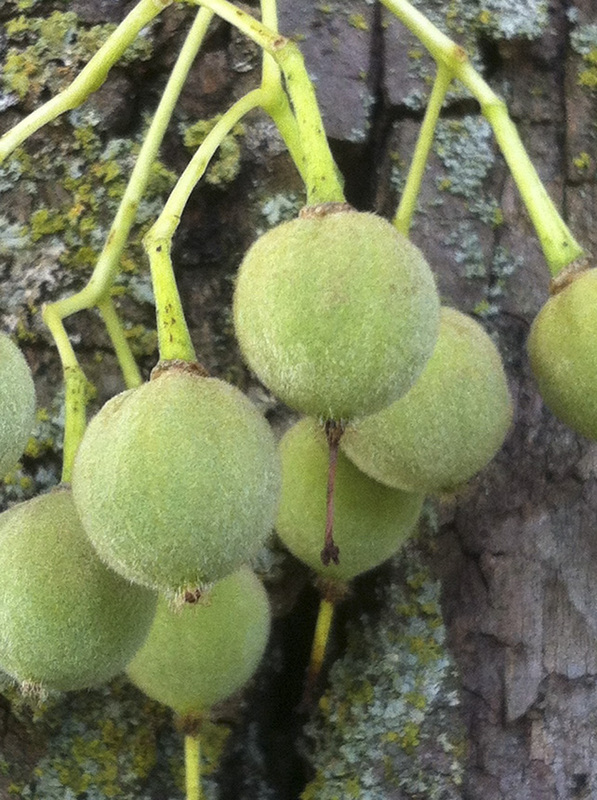 Tasting the fruit of the Basswood tree, Tilia americana. Winter tree identification of basswood, Tilia americana. 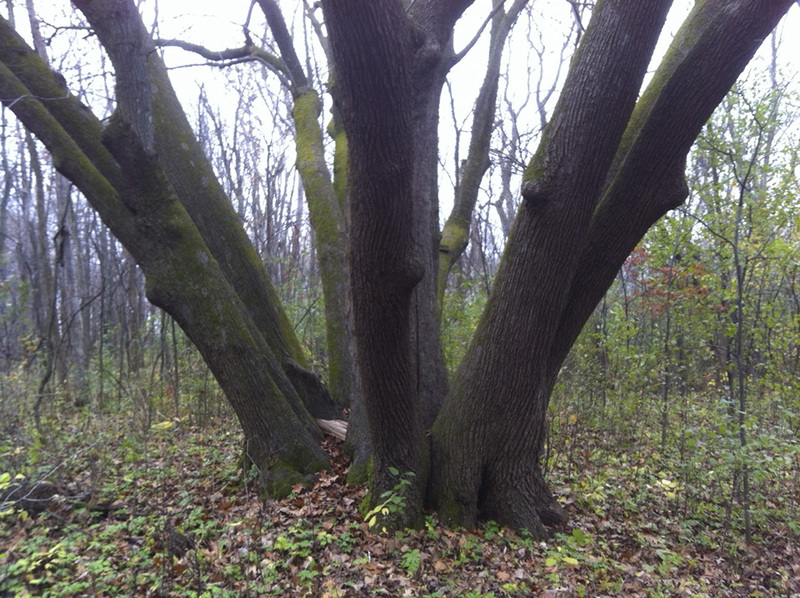 Basswood provides food, fire, shelter, and medicine making it one of my favorite trees. Thanks for watching, subscribing, and supporting this channel. If you like this video please give a thumbs up and share it with others. If you have any questions or tips please leave a comment. Eating Basswood leaves: http://youtu.be/v69QDpgUFuY I hope you like it. Being both edible and medicinal, basswood tree buds are a good winter food source. Low hanging branches are typically found making harvest quick and easy. The plump red alternating buds of basswood have a tender and moist texture like okra or aloe vera with a mucilaginous quality that coats and soothes the throat. Also, the leaves, flowers, cambium inner bark layer, and seed scan all be eaten. The seeds were reportedly used to make a chocolate substitute. The flowers can be used to make a refreshing tea which is also considered to be an herbal remedy. The shiny young leaves can be harvested in abundance and taste excellent raw and in salads. I consider basswood leaves the iceberg lettuce of the forest although it likely has far more nutrients and energy. There are many more bush craft, survival, and every day uses for basswood. The fibrous inner bark can be used to make large ropes, but it's rather weak as small diameter cordage. The rope was once used for rigging on ships as the fibers were both long, abundant and strong when twisted into large diameter. The lightweight wood has a non-distinct grain which is excellent for woodworking and carving. It one of the best woods for use in friction fire requiring very little pressure and speed compared to other woods like cedar, autumn olive and box elder. Bees use the pollen to make a high grade of honey. 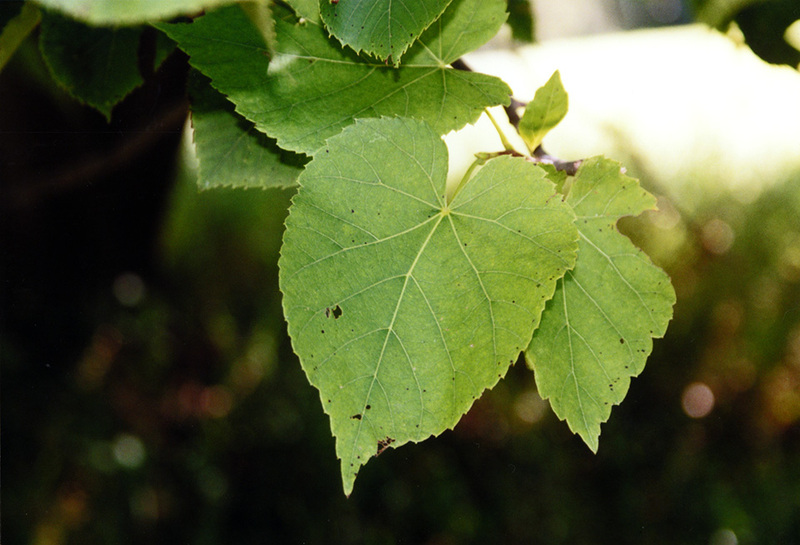 The genera for this plant is Tilia and there are several varieties of basswood. 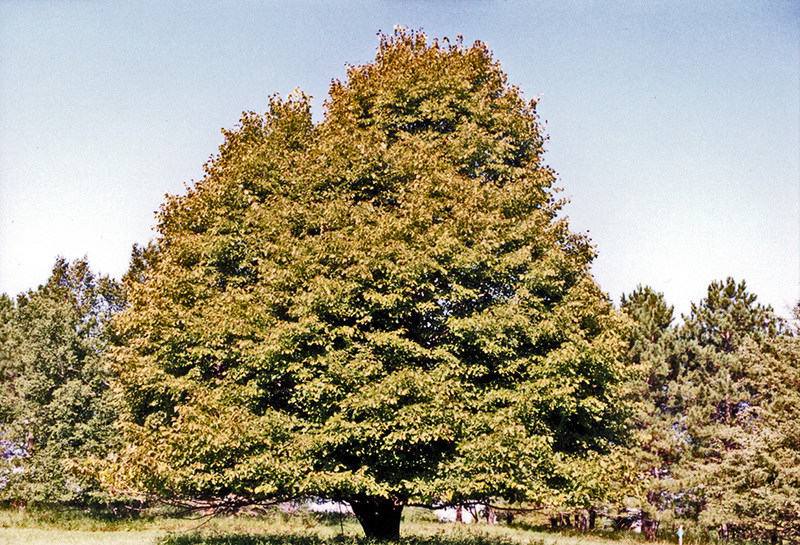 Depending on your geographic location they are commonly called basswood, linden or lime trees.